A charming country house, yet in a town, near Loch Tay and Pitlochry. Find both local walks from the door and the Monroes for the more adventurous close by. Excellent golfing country with a huge selection of 18 and 9 hole courses nearby. “Bestowed it's name by Queen Victoria this charming small hotel nestles in Comrie, near Crieff amidst the splendor of Strathearn and the Southern Scottish Highlands. 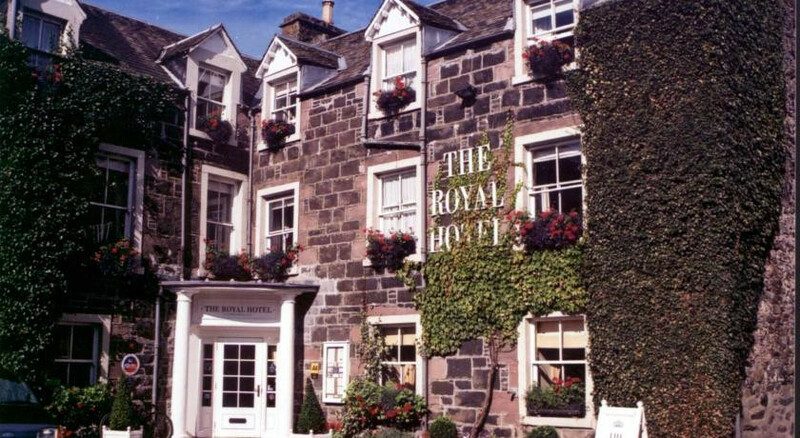 Lovingly restored by its owners in 1996 with the aim of creating "a beautiful, intimate, small, luxury hotel in Scotland", this really is the place for that special break. Whether fishing, walking, playing golf, sightseeing or just relaxing, The Royal offers that special, intimate ambience.